B just dropped a huge bomb on me announcing that on top of visiting The Lourve and touring the shopping streets of London during our upcoming Europe trip, I’ll also be meeting the future in-laws! Eek!!! It is the first time I’m meeting them so presentation really counts. I gotta look my best! 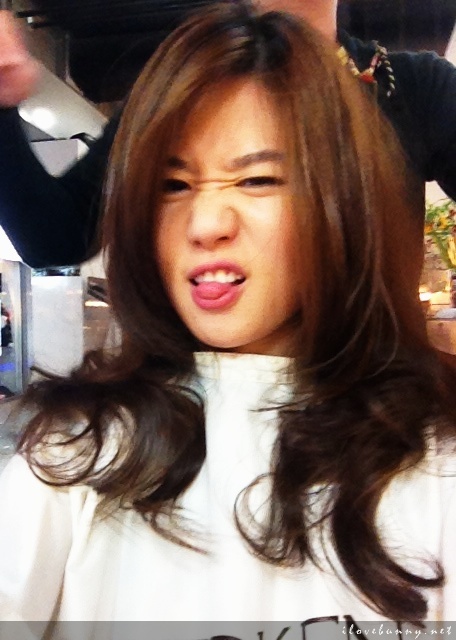 So first up – get rid of the frizzy hair! I haven’t trimmed my hair in months so the mane has gotten a little crimpy and unkempt. 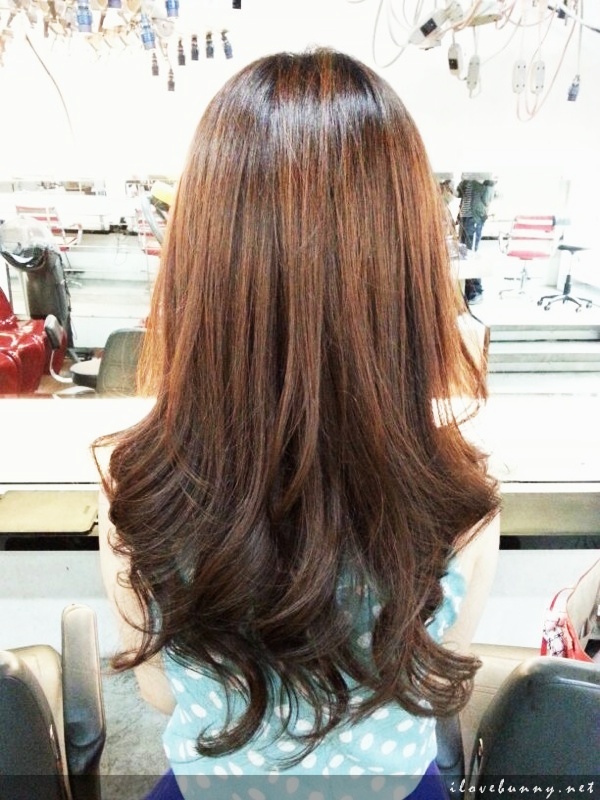 But I’m also a pretty troublesome customer when it comes to hairstyling – the length has to be the same, texture softer, colors more vibrant but not loud and so on. 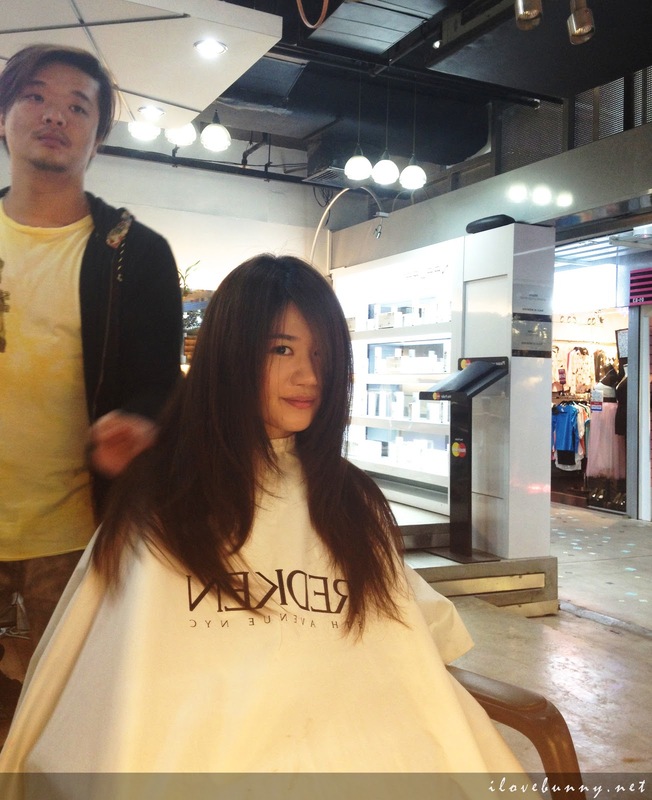 Hence, I’ve been on a quest for a good and experienced hair salon. 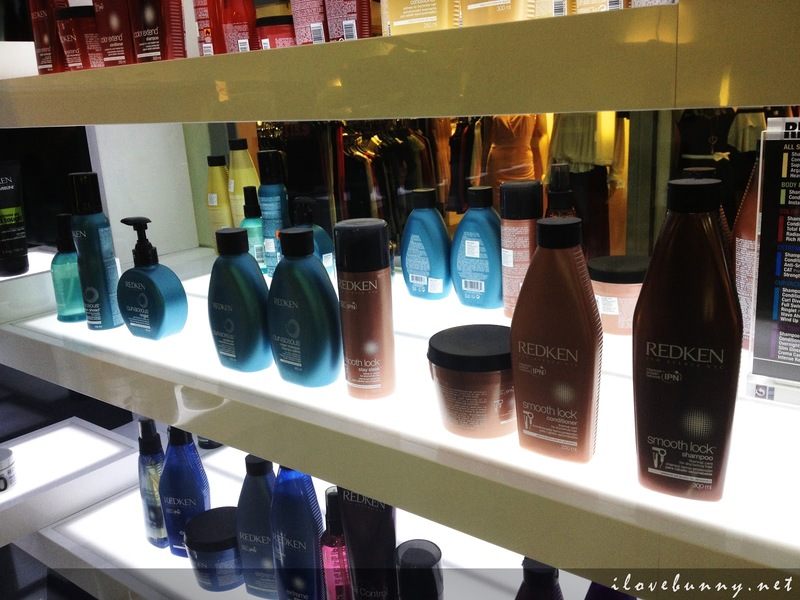 And recently, I was very glad to discover an unexpected hidden gem beneath the trendy shops of Far East Plaza. 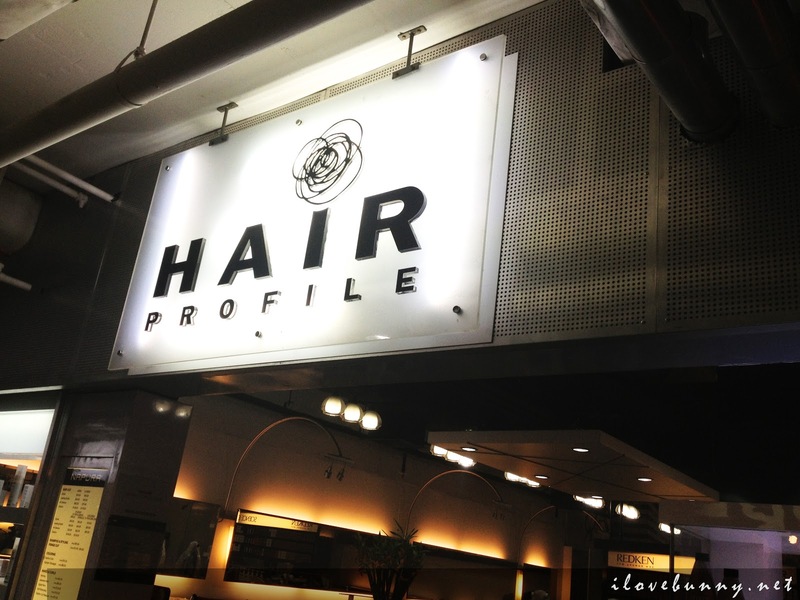 And the ‘diamond’ is none other than Hair Profile Salon. 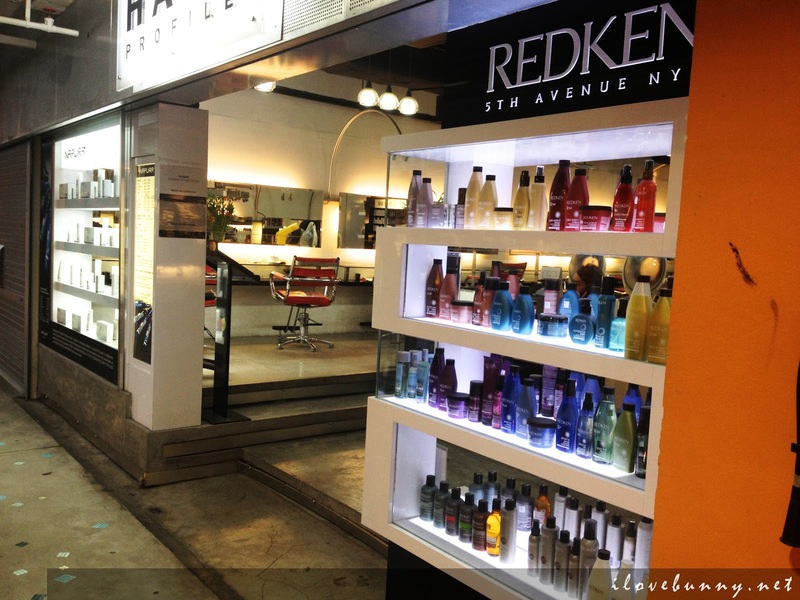 It is located at 14 Scotts Road Far East Plaza #01-91. Still can’t believe I missed this all these years. 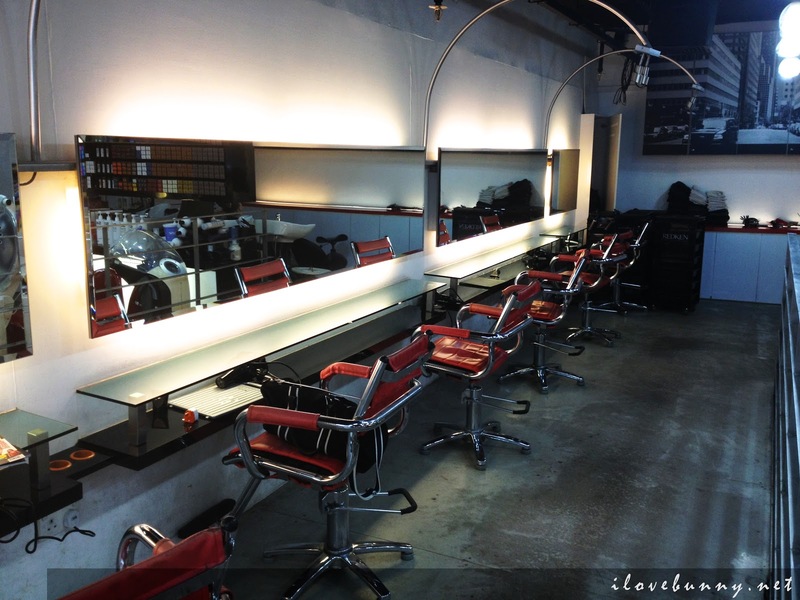 The cozy salon sports a futuristic design with classy fluorescent lighting and abstract furniture. 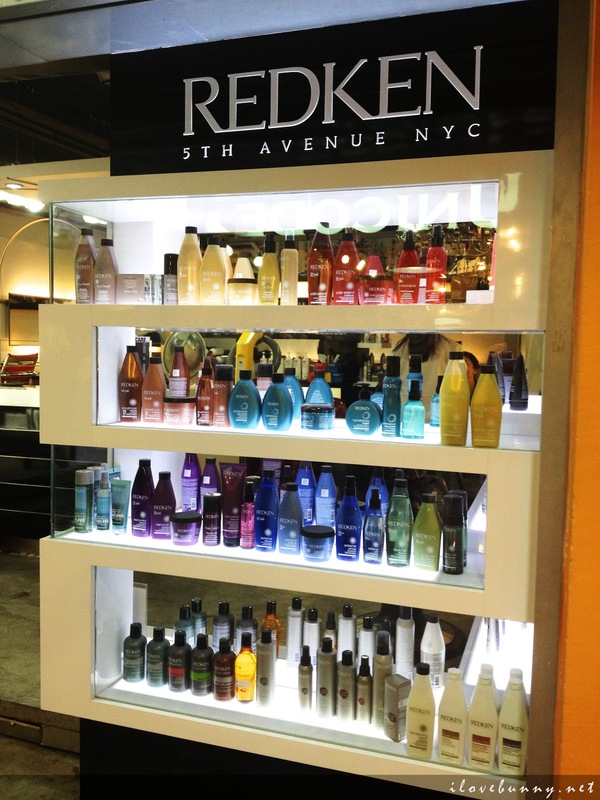 The salon is a huge advocate of vitamin-enriched and protein-heavy products so it has brought in the famous international haircare line Redken to rescue and nourish our damaged tresses. This is the current state of my hair. I’ve been contemplating on joining the dip-dye hair trend but since I’m meeting the parents this time, I decided to drop this idea for the time being. 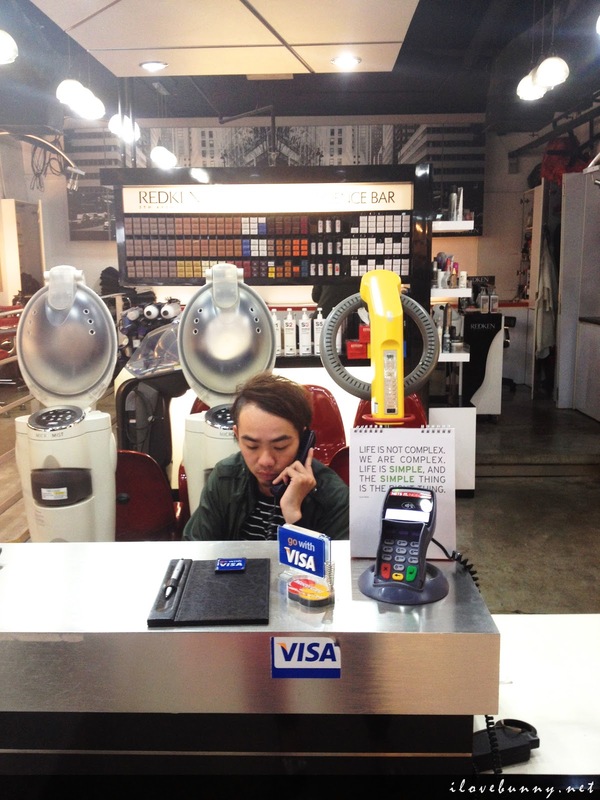 Kenji, the owner of Hair Profile, has been in the business for 18 years. He advised against ‘settling for less’ when it comes to hairdos and suggested that I still get a subtle hair color makeover. This is Kenji, who’s apparently thinking about the ideal hairstyle for me. Haha! 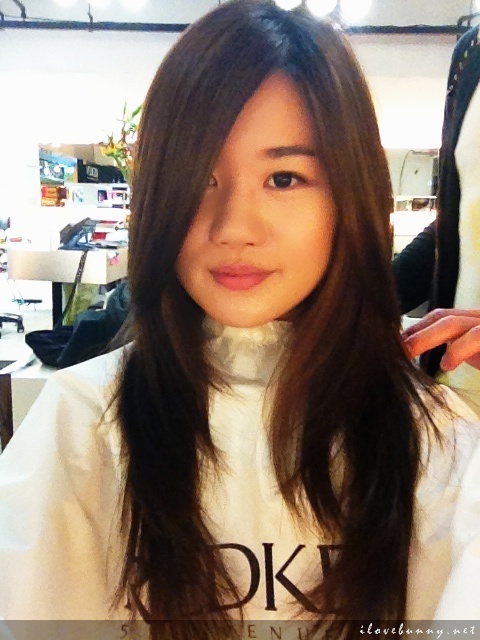 Kenji assured me that it will not be a ‘shocking’ hair dye job. 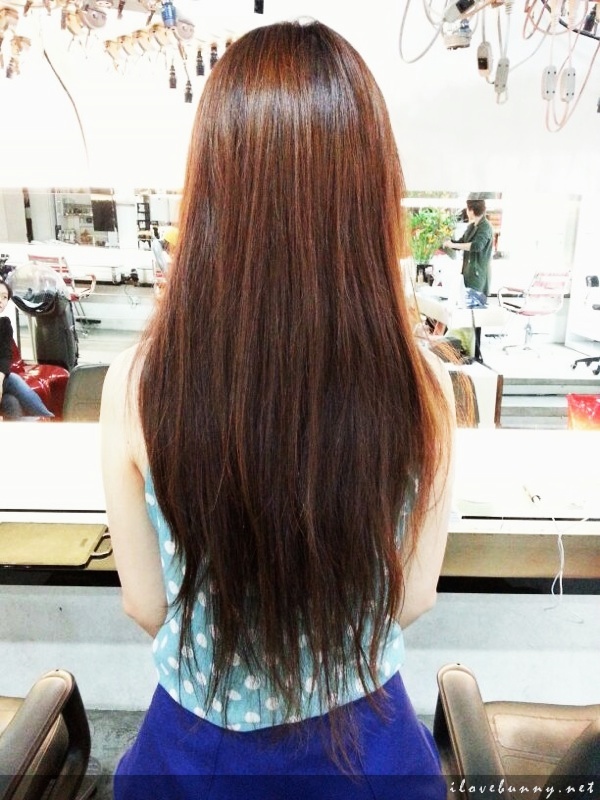 He promised to give me dark resplendent-looking tresses with hints of pink without compromising the current length and texture. Sounds great and here we go! This is me, still looking scared and worried. Haha! 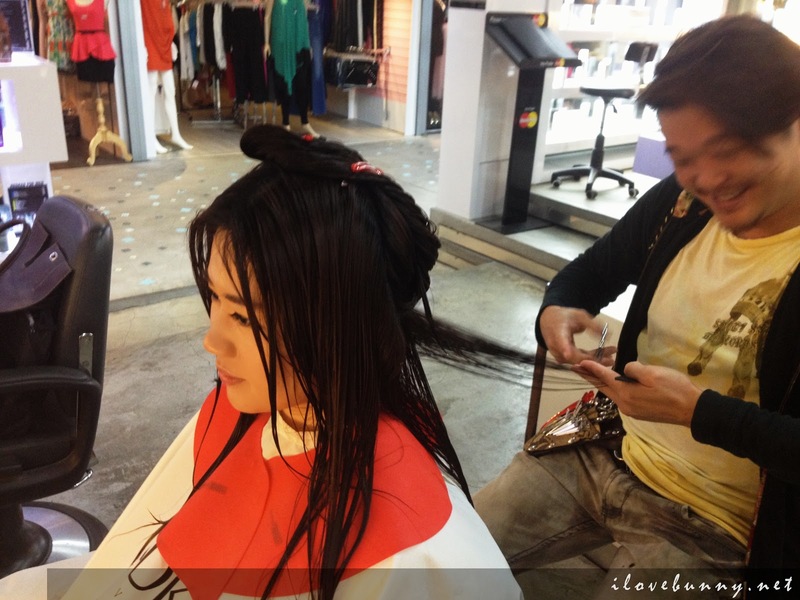 To achieve beautiful pink streaks, the hair has to be in a tip-top condition. No dry wimpy hair because the bleaching and dying involved in the process will worsen the condition and make the hair as dry as a desert. Adding colors will only produce a tacky hairdo. 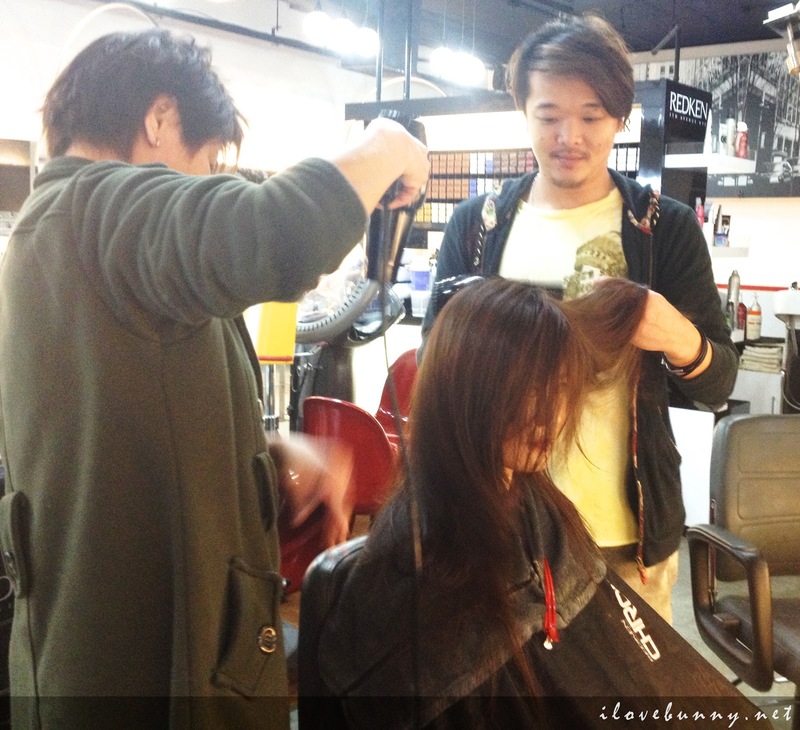 Kenji made sure he tamed my unruly hair well before my hair color transformation. 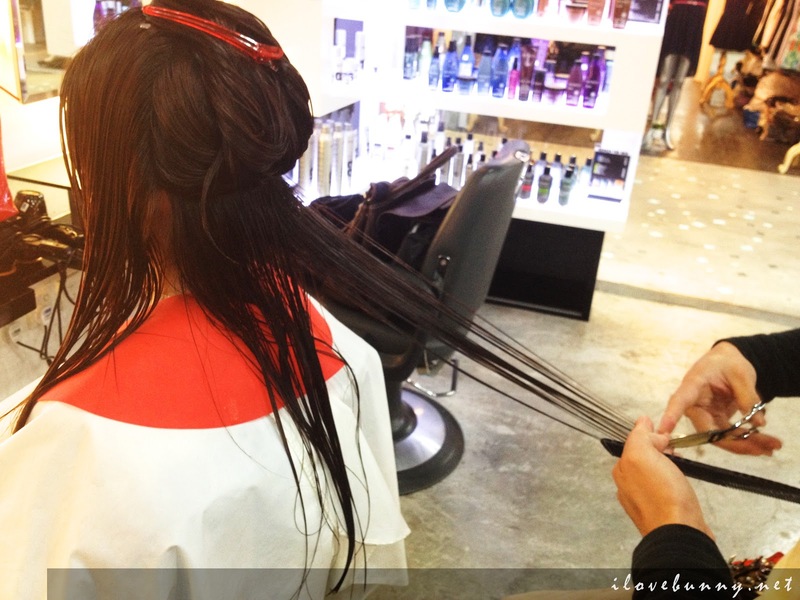 And the first step, snip the split ends! 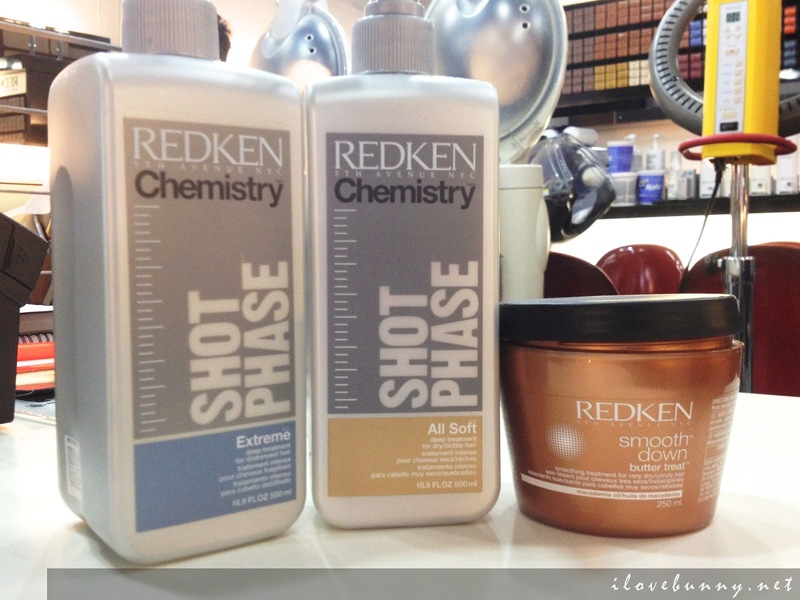 Then he freshened up my locks with these amazing products from Redken. 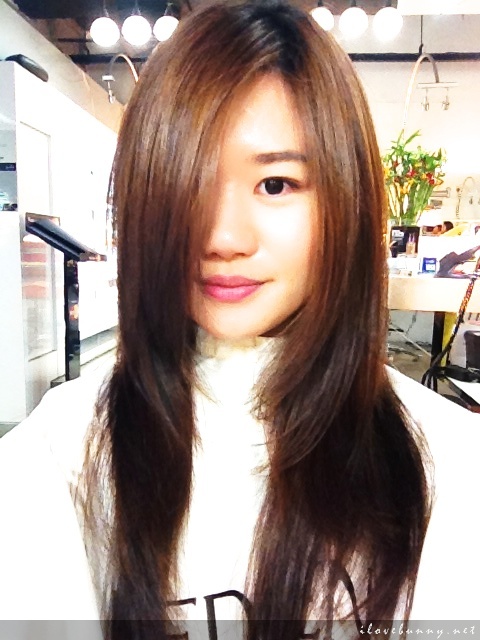 Kenji gave my hair a nourishing treatment with products that were jam-packed with nutrients and moisturizers. According to him, this will give the hair a good defense when we feed it with bleaching powder later. Kenji is a perfectionist I tell you! 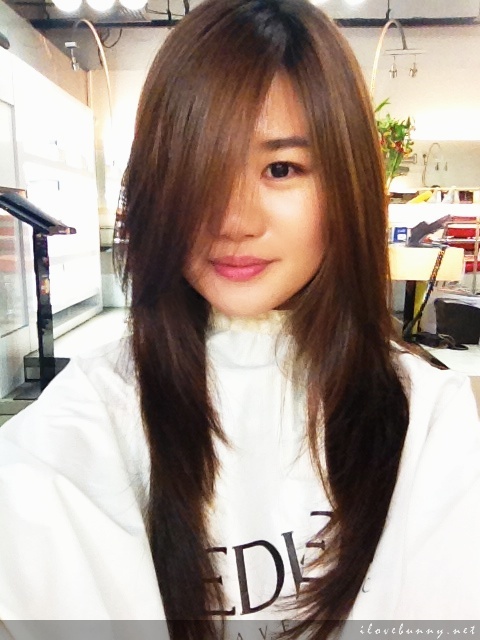 After much deliberation, he decided to dye my hair when its condition is 100% satisfactory. So he gave me this bottle of Murie M Home Milk to hydrate and boost my dry and flat hair before I come back again for my hair color makeover. With this, he proceeds to style my hair. 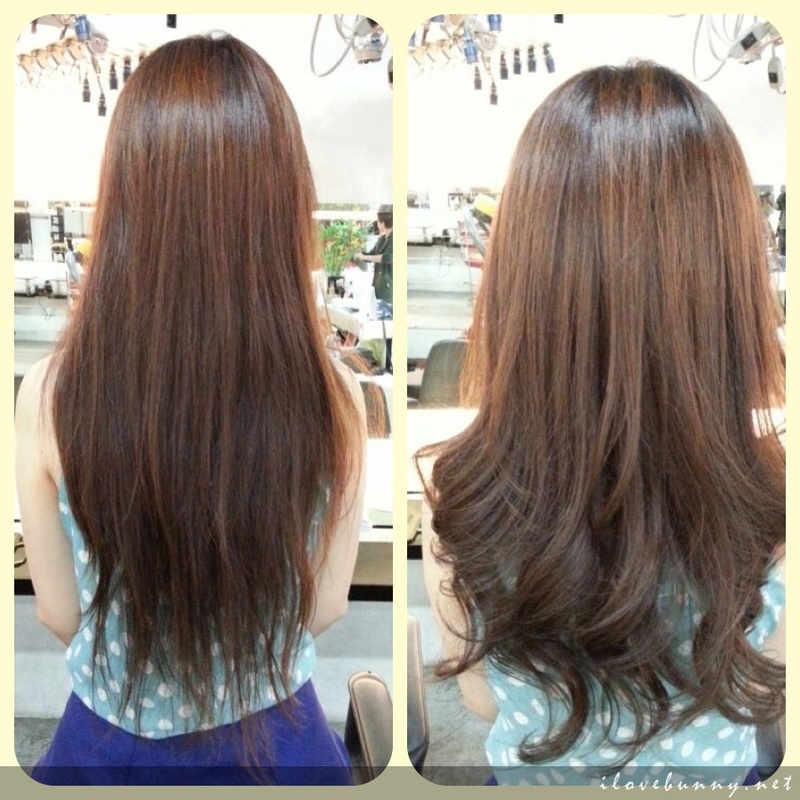 The annoying frizz was coaxed into soft and bouncy locks and the hair’s natural shine was also restored. My mane feels hydrated and very smooth. 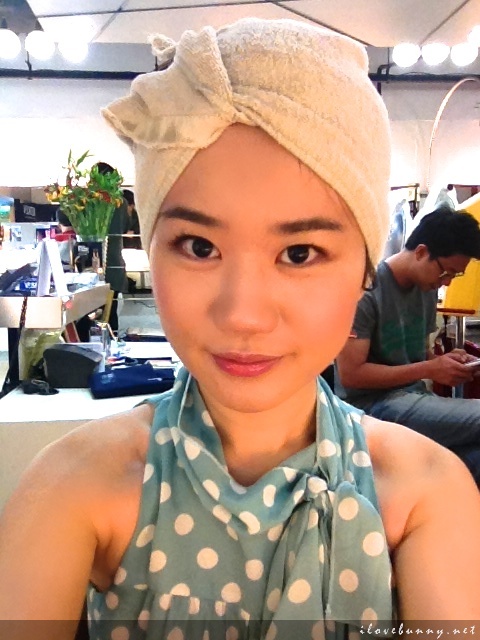 More photos of my crowning glory! 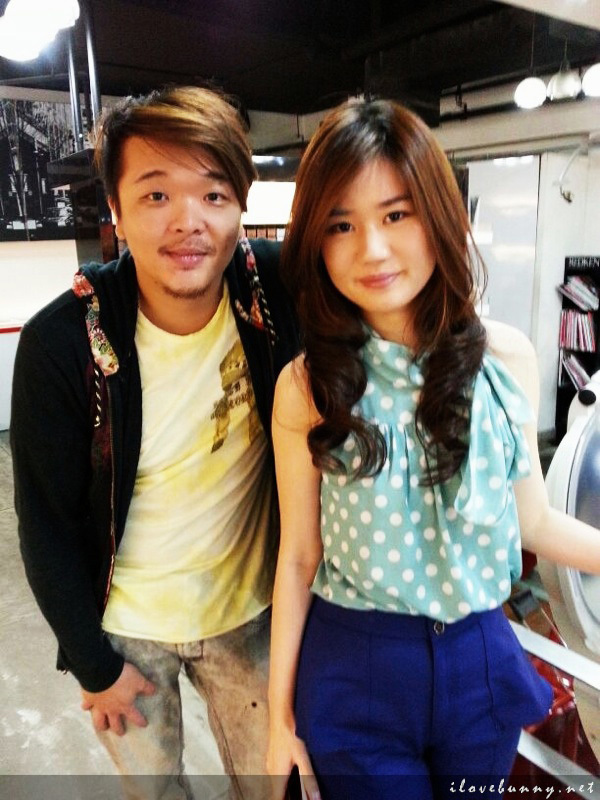 Straight hair is boring so Kenji decided to spruce up my neat locks by curling it to make loose bouncy waves. My hair was revived and I love the temporary curls that lasted through the night! During the process, Kenji periodically asked if I were satisfied with the haircut to make sure he did not snip off too much hair. 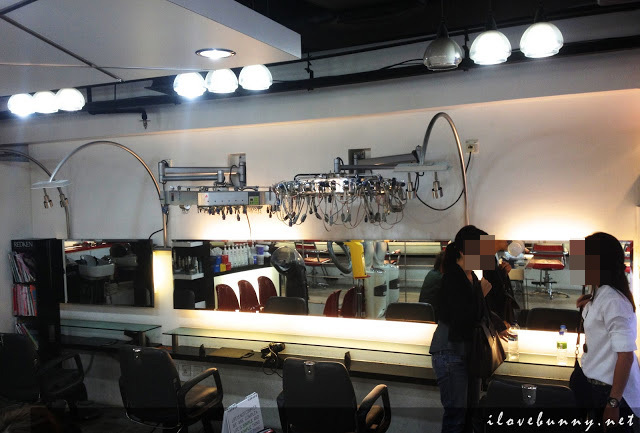 I thought that was rather thoughtful as most good hairstylists will probably just do whatever they want. I’m also a huge fan of the cosy and friendly ambience of the salon. 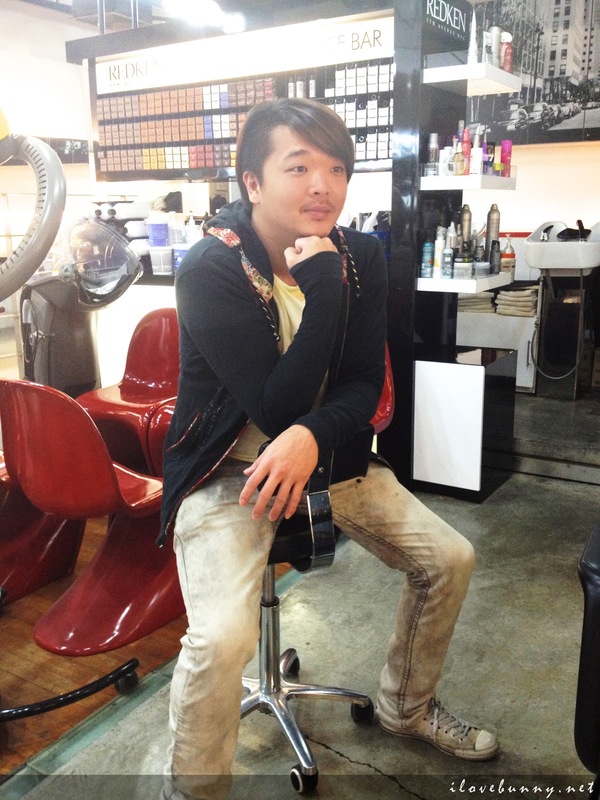 Kenji and his team’s great hairstyling skills and good service certainly made my experience at Hair Profile a very pleasant one. Trust me, Kenji is proficient and talented enough to not only deliver what you want but more than what you expect. He’s a force to be reckoned with. Haha! Special Promo for Honeyz Belles! Quote ‘Honeyz‘ and enjoy 15% off all chemical treatments and a professional hair consultation with Kenji (strictly by appointment only). 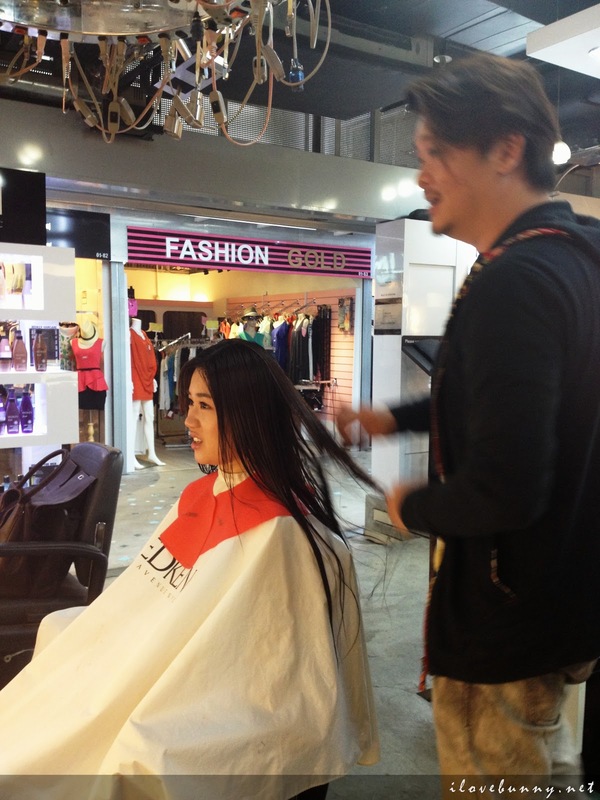 Hair Profile Salon is located at 14 Scotts Road Far East Plaza #01-91. I certainly look forward to my hair color change soon. 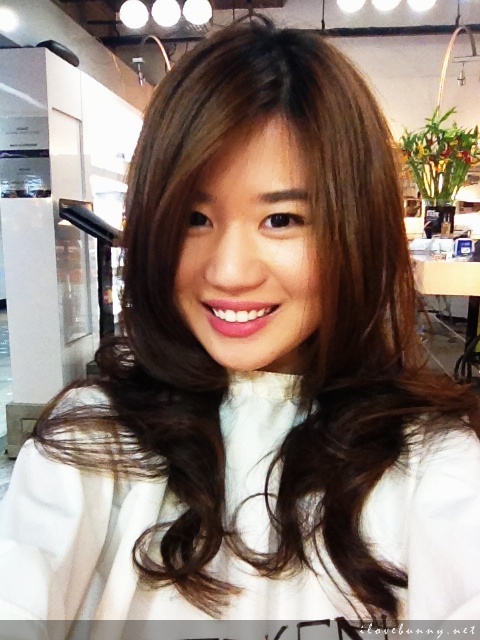 DIY: How to Create Dip-Dye Hair at Home?